African porridge often comes in the form of a thick mush, made from milled African cereal grains, the resulting dish being a bit like potato mash. It is a well-known staple food eaten across the African continent and was traditionally made from millet or sorghum prior to the introduction of maize across the continent. It varies from a soft consistency to extremely stiff or crumbly and couscous-like. It can also be prepared as a soft breakfast porridge by reducing the amount of dry flour to water, resulting in a runnier version. For some creative cooks, the dry crust that is normally left behind at the bottom of the pot can be eaten as corn biscuits or crisps. It is known by a variety of names depending on which African region you visit. In East Africa, it is commonly known as ugali, particularly in Kenya and amongst Luo speakers in Uganda. Another Ugandan name for it is posho. It is normally eaten as a main meal for lunch or dinner with meat, fish or poultry and a vegetable relish. It is often accompanied by stews, soups, and sauces. Since being introduced as an economic crop, cornmeal has become the most common form of porridge consumed. In other parts of Africa, especially Southern Africa, and is known by a variety of names and consistencies depending on the local language. It is otherwise known as nshima in Malawi and Zambia, sadza in Zimbabwe and parts of Botswana, phaleche in most parts of Botswana or pap in South Africa. It can also be made very dry and when stirred vigorously, this results in a crumbly consistency known as phuthu pap, as done in South Africa. There are other variants of thick porridge made from root vegetables as opposed to grains. Ugali, for instance, can be made from cassava, and this variation is known as ugali wa mhogo. This cassava dish is not dissimilar to West and Central African fufu. 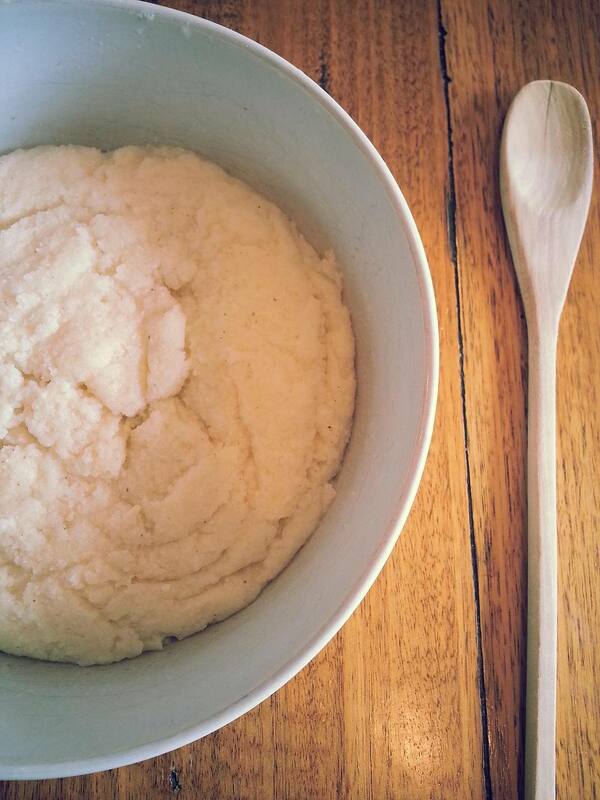 Ugali wa mhogo can also be made by mixing cornmeal with cassava as opposed to using those ingredients separately. African staples are rarely seasoned and often criticized for their lack of flavor. However, in comparison to rice or oat dishes, it is usually the accompaniments that provide the flavor and set the tone of a dish. If this food sounds extremely foreign, unfamiliar or strange, it is not. Cornmeal porridge in the form of yellow polenta is a traditional Italian food. The Italians may also prefer the white version in some regions. Millet porridge is a Russian staple and can be eaten as a sweet or savory dish. White cornmeal is used around the world and is a chief ingredient in cuisines of the Americas. Tamales, a popular Mexican food, are made from cornmeal. To make thick African porridge such as all you would need is cornmeal, water and salt to taste. You will also need a good wooden spoon and the long-handled saucepan with a cover.